It’s time to rethink the meaning of quick dinners! 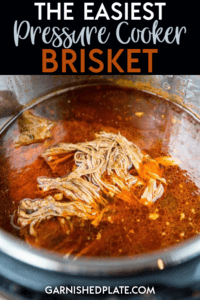 With this Pressure Cooker Brisket you can have amazing shredded beef perfect for sandwiches, tacos and more in just about an hour! 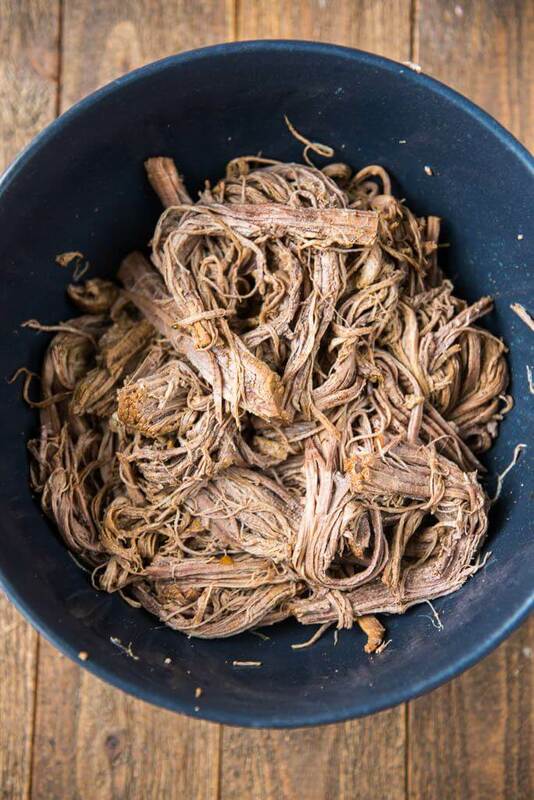 While I absolutely love making brisket in the slow cooker or on the grill, there are just those times in life where reality sets in, you haven’t planned 6-8 hours ahead, and you need some shredded meat, pronto! 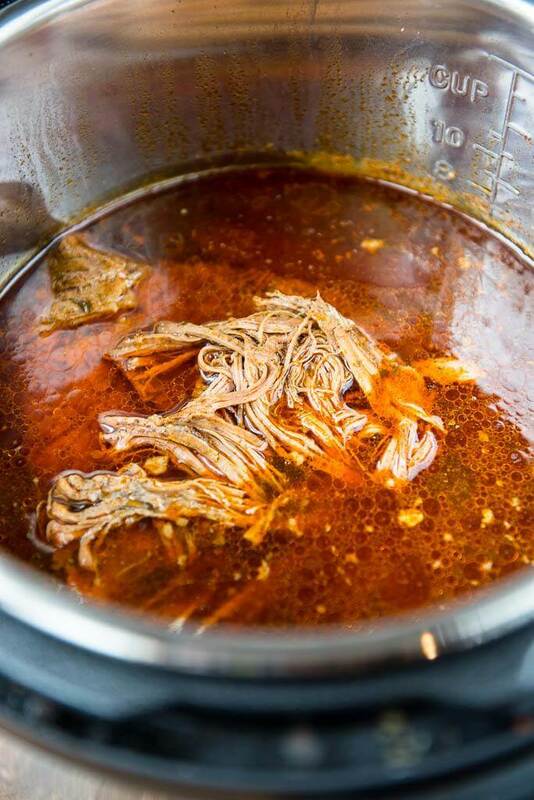 Thank goodness for Pressure Cooker Brisket because it will totally save the day! Whether you are having some friends over to watch the game, needing something to take to a potluck or just a delicious dinner to serve to your family, using your Instant Pot can make quick work of a meal that usually requires an entire day for cooking. This is super easy to get started too, as it only requires three ingredients! 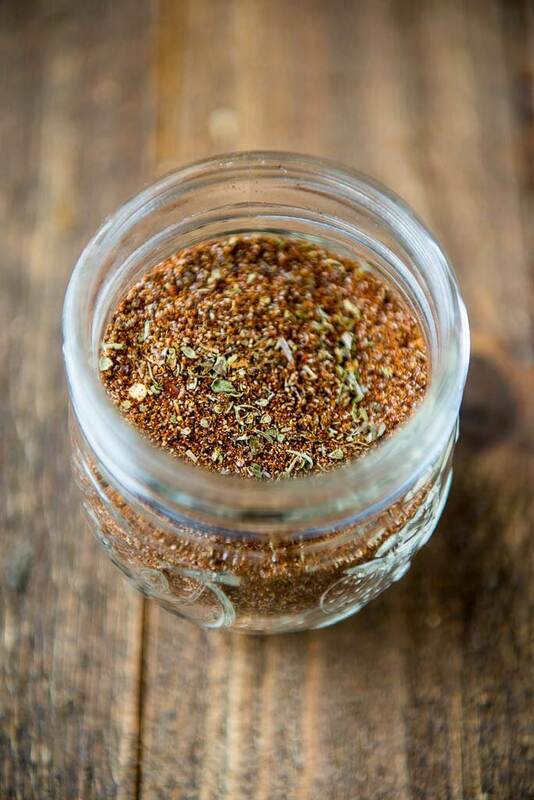 Keep a batch of my homemade Memphis rub on hand, add your brisket and some water or broth to the pot, and dinner is practically done! I haven’t used my Instant Pot for a lot of things, but this is one where it did really shine. I mean a whole, shredded brisket, in just over an hour? Amazing! If you factor in these things, I think you just might be impressed that this recipe really comes together in a pinch! You should also note, that because of pressure cooking, there will be a lot more liquid than if you slow cooker or (obviously) grill. So keep it in mind and just reserve the amount you want to add back to the meat and discard the rest or perhaps make a gravy. It's time to rethink the meaning of quick dinners! 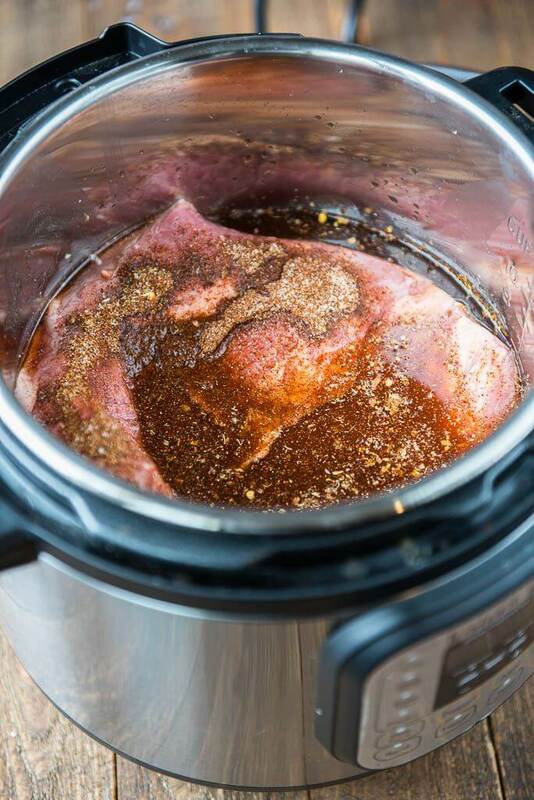 With this Pressure Cooker Brisket you can have amazing shredded beef perfect for sandwiches, tacos and more in just about an hour!